This car has a wonderful and well-documented competition history. 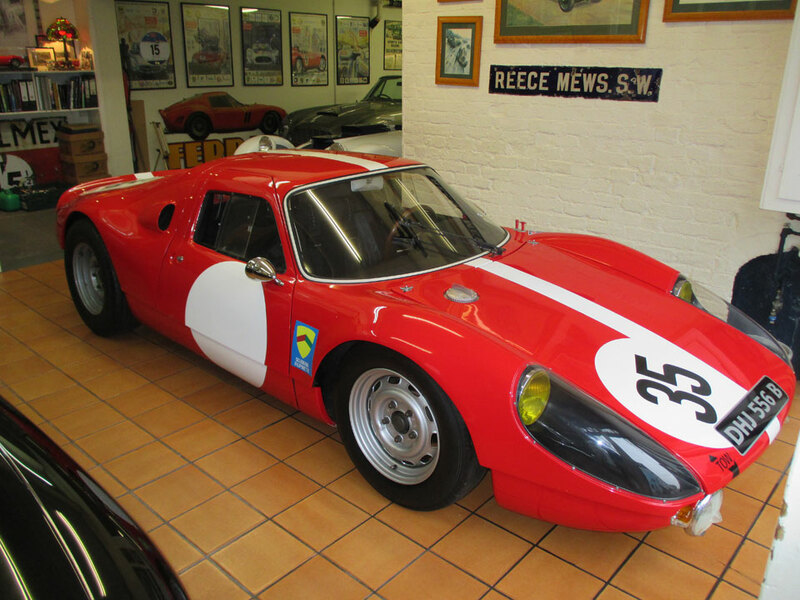 Chassis 079 was bought new in April 1964 by Swiss entrepreneur and racing team patron, Georges Filipinetti. It was to be finished in his Scuderia Filipinetti team’s bright red racing livery and campaigned by promising Swiss drivers Herbie Muller, Dieter Spoerry and Claude Sage. The Scuderia Filipinetti then ran 079 in the tortuous World and European Championship Hillclimb at Rossfeld on 6th June where Knorr set the 9th fastest time with it. 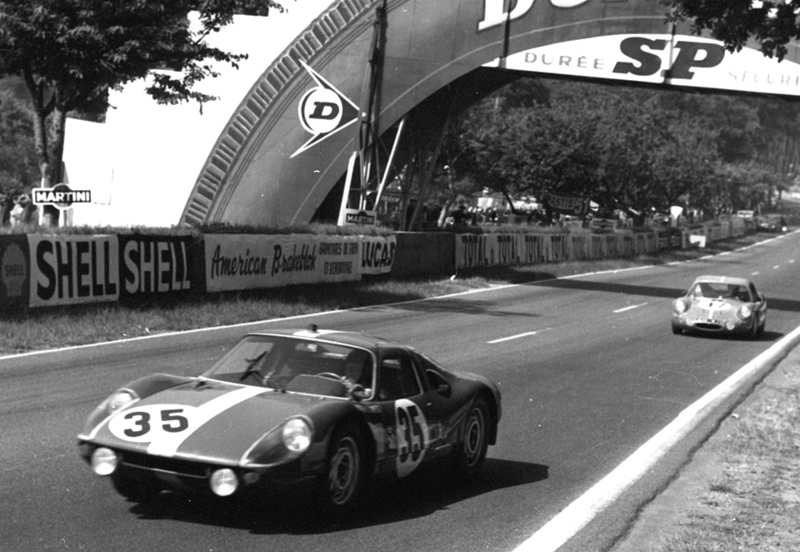 The third outing for 079 was then nothing less than the 1964 Le Mans 24 Hours. 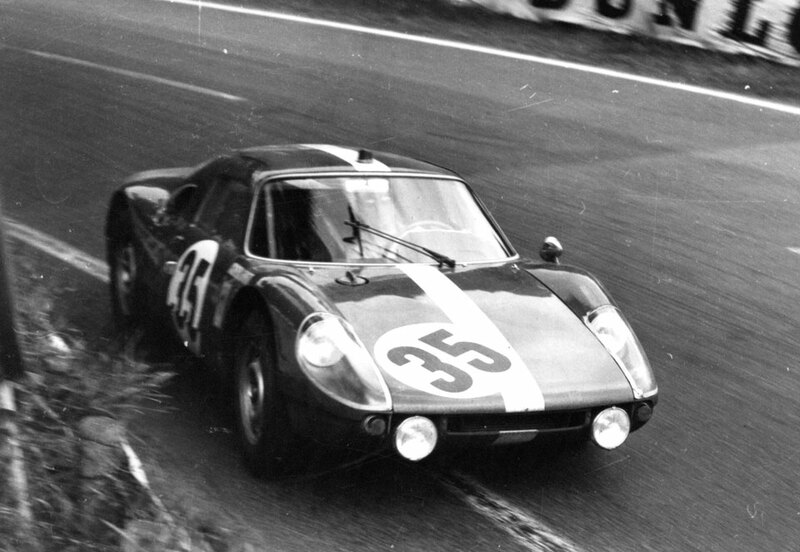 Herbie Muller co-drove with Claude Sage and the claret-liveried coupe, wearing number 35 completed the full distance. 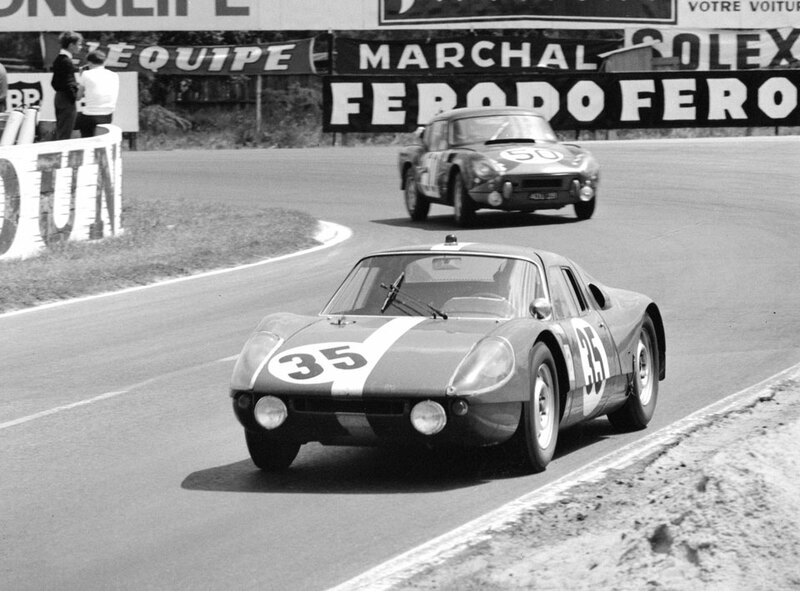 They finished 4th in class and 11th overall, having completed 309 laps of the Sarthe circuit. From the wide-open expanse of Le Mans it was then back to the mountains for Scuderia Filipenetti as they ran 079 in the deceptively demanding European Mountain Championship hillclimb at the Gaisberg on June 28, where Knorr was placed 3rd in class. 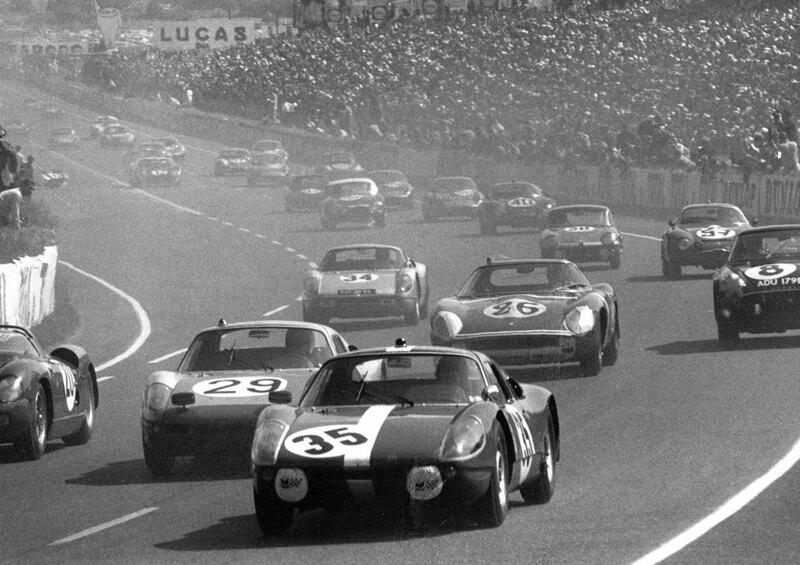 Reims 12-Hours was the next outing, with a tough race starting at midnight and finishing at midday on the Champagne circuit. The car was co-driven by Muller and Knorr, finishing yet again this time in 12th place, and 5th in class. Two weeks later, at Zolder in Belgium, Knorr added another 3rd in class result and a week later still on the home mountain climb at Cesana-Sestriere, he was placed 5th overall and 2nd in class. At the Freiburg-Schauinsland climb Knorr was 4th in class, 8th overall and at Sierre-Montana 3rd in class, 7th overall. Into 1965 and the team entered 079 in the Monza 1,000 KM. However Filipinetti’s leading driver, Tommy Spychiger crashed fatally in a Ferrari 365P and the team withdrew immediately from the race, 079 included. Its drivers on that sad day were the brothers Jacques and Robert Calderari, the former having apparently adopted ownership of the car although it continued to be prepared and entered by the Swiss Scuderia. Thereafter, road rallying became 079’s forte. It was sold to Jean Marc Massoneri/Petetin and won the 1965 Rally de la Baule in France and was placed 5th with the same pair in the Rally Mont Blanc. Jaques Calderari was listed in this car for the 1965 Ollon-Villars mountain climb but does not seem to have competed there. The car then lay fallow until March 1966 when, crewed by new owner Dumousseau and navigator Roques, it won the Rallye de Lorraine in France, and the pair subsequently repeated this success by winning the AGACI Rally that October. 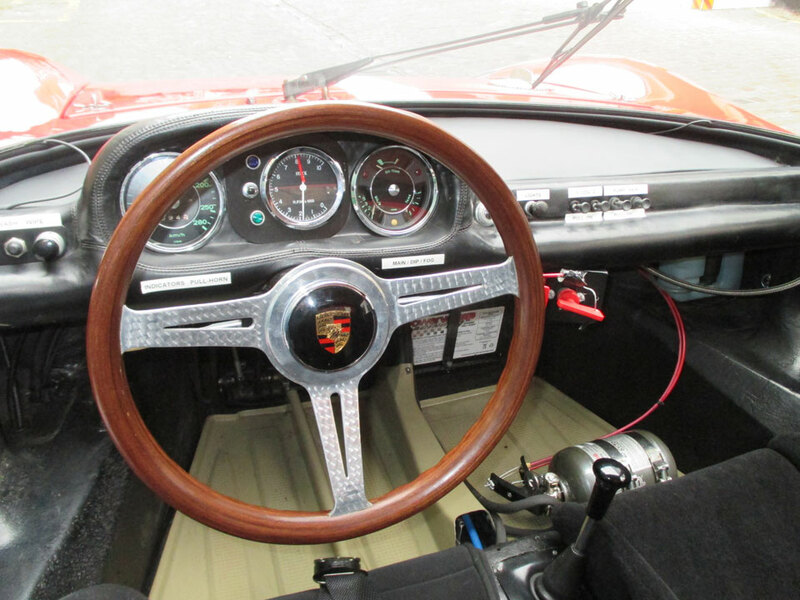 They continued to campaign the Porsche until 1967, but failed to finish in both the major Rallye des Routes du Nord and the Criterium Neigeet Glace. In 1968 the car was bought by Tourol Racing and in order to remain competitive 079’s original 180bhp 4-cam engine was replaced with the 6-cylinder Type 906 power unit. 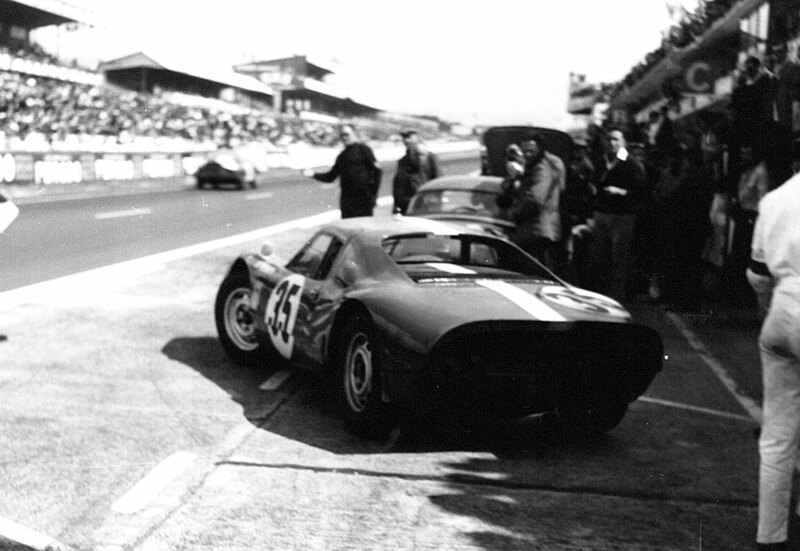 New owner Tourol raced the car at Magny Cours and co-drove it with Pagani in the 1969 Tour de France Automobile. As late as July 1971 this widely campaigned old warhorse remained in harness – placing 7th overall in the AGACI 3000 event at Montlhery. German enthusiast Manfred Freisinger owned the car through the early 1970s before it was acquired by Herbert Kuke in 1979. He commissioned former Scuderia Ferrari chief mechanic Franco Sbarro to restore the car at Chateau Grandson (Switzerland) while the engine and gearbox were overhauled and re-prepared by the Porsche Factory. Upon completion of this work – carried out to extremely high standard – the car was then entrusted to the Porsche Museum where it was preserved on display from 1982-2002. Maintained in sparkling form, 079 was deployed by the Porsche Museum for a series of film and photo calls and it saw competitive use in the 1982 Erding aerodrome race meeting, where rally star Walter Rohrl won in it. On the 1986 Targa Florio Rohrl and Dieter Glemser – another factory legend – were placed 2nd overall and Rohrl demonstrated the car at the opening of the Neue Nurburgring F1 circuit. In 1989 at the Nurburgring Old-timer Grand Prix it was driven by Manfred Jantke to finish 3rd in the race. The car then remained on show within the Porsche Museum until 2009 when Freisinger sold it to leading British collector John Rushton. He had the car thoroughly prepared for Historic racing use, and 079 returned to the Sarthe circuit at Le Mans Classic event of 2010. It completed in the Gstaad Rally and was then sold to Richard Frankel. It reappeared in the 2012 Le Mans Classic and was maintained in race-ready condition. 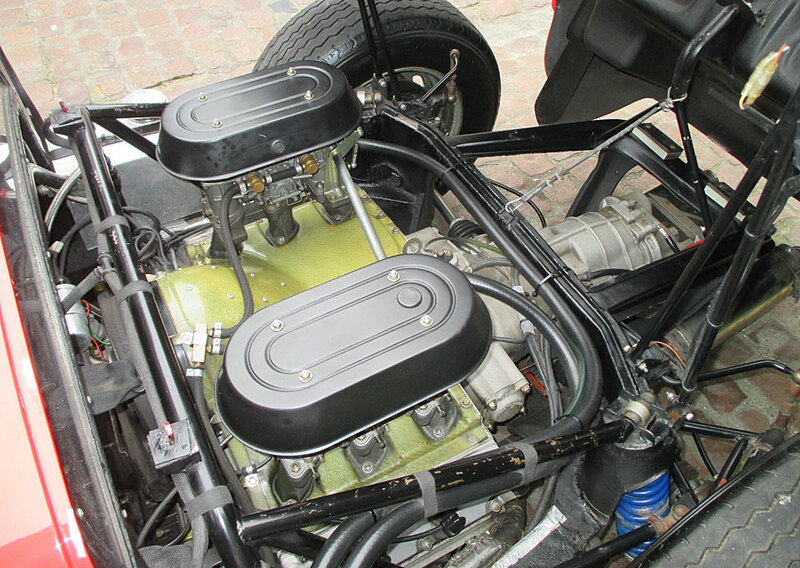 The car is offered with the 2-litre 6-cylinder engine fitted, rebuilt by specialists Maxted-Page & Prill in 2011. 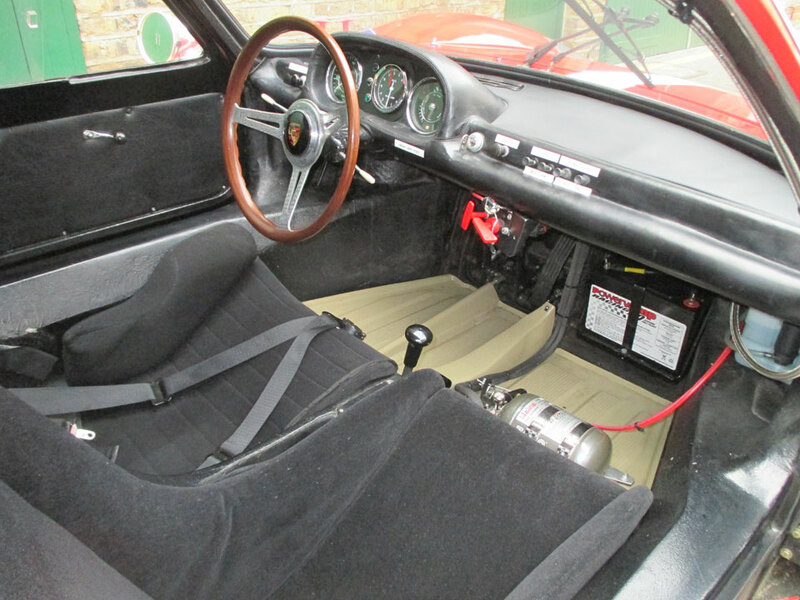 It is accompanied by one of the rare and intensely desirable 4-cam flat 4 Porsche Type 587/3 engines rebuilt by specialist Karl Hloch in 2009 and un-raced since. There are additional spares with the car and a history file and significant photographs.